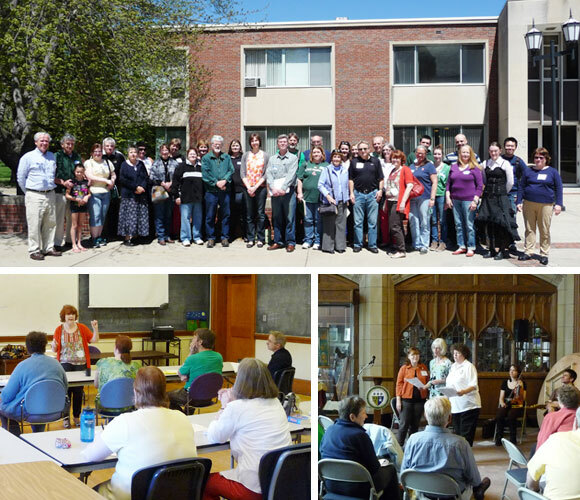 The Irish Cultural Center of Western New England will hold its eighteenth Lá na Gaeilge (Irish Language Day) on Saturday, May 4, 2019 at Elms College in Chicopee, MA. It is an opportunity for those with an interest in this ancient language, which is now enjoying a resurgence, to deepen their knowledge and appreciation of this vital component of Irish culture. The program consists of two classes available at four levels: a beginner’s class, a class for those who have an introductory knowledge of Irish, an intermediate-level class and a class for advanced learners. As well as formal classes, Lá na Gaeilge consists of workshops (céilí dancing, film), and cómhrás (opportunities for conversation and dialog at the learner’s appropriate level). A lecture, The Irish Language and the discourses of colonisation and decolonisation, will be given by Kerron Ó Luain, Villanova FLTA. Lá na Gaeilge concludes in a seisiún with an opportunity for participants to display their musical talents, and all are encouraged to bring their instruments and voices. Lá na Gaeilge begins with registration at 8:30 am and concludes at about 5:00 pm. The cost is $50 per person / $45 for ICC Patrons. The cost for college-age and under students is $15. The price includes lunch and refreshments throughout the day. Lá na Gaeilge is a unique opportunity to encourage and promote Irish language learning at all levels. Registrations are due by May 1 – please download a registration form. For further information contact the ICC office at 413-333-4951 or email irishcenterwne@gmail.com.